NOTE: A $3.95 flat rate shipping fee will be added on to the price of this product. The order or invoice number must be indicated for security reasons. Please reference your previous purchase information. No keys are issued without this verification. Located on the Lock attached to the Bag. If you wish to purchase additional sets of keys for multiple bags please indicate in the spaces below the serial numbers and the quantities by set. There is a (+) button to the right of the box below if you would like to add multiple serial numbers/quantities. Total quantity of additional keys MUST MATCH the quantity you input above (at the top of the form) for us to fulfill your order - keys are only sold by sets. Looking to purchase more keys? Lost your keys? Locked keys in your bag? Whatever the reason, we may be able to help out! We can only supply you with new keys if you can reference your order or invoice number. 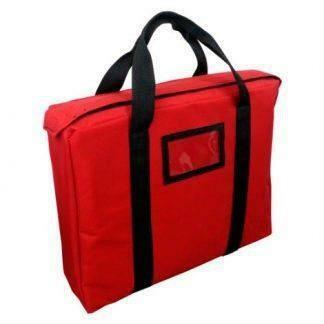 For security reasons, we must be able to verify the original purchaser of the bags by looking up the order or invoice. We must also have the serial number located on your lock attached to the bag purchased. All keys are sold in sets. Each order comes with 2 keys with the same serial number. If you purchase a quantity of one, you will receive a set of 2 identical keys with the same serial number.